On Cataratas road you will find Rafain Barbecue place. It’s a unique place that offers a sort variety of hot dishes, salads and desserts, besides a great choice. 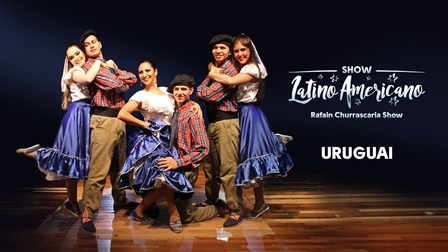 Above all, there is a typical Latin American Show, where several highlighted folkloric shows are the main attraction. The genuine Brazilian music starts the show, after the enchant of the Paraguayan harp, the emotion of “Dança das Garrafas”, the essence of the Bolivian songs, the rhythm of the Argentinean tango, goes to Mexico with your “sombreros”, the gaucha mountains with the fantastic presentation of the boleaderos, and still represents the Bolivian traditions with the folkloric attractions Ëndeablados e Corporales”. Show: 9 pm, to 10 pm. Each play takes about 15 to 20 minutes. Freaquency: Every day except on Sundays.